This is a book I’ve held back on buying until I decided that the self-inflicted torturing to hold back the TBR had to stop. I’m glad I bought it but Holy Shizz, I need the third book now! The Premise: Justine Jones continues her work as a disillusionist for Packard, and her newest target is Ez, a dangerous highcap who can manipulate a person through their dreams. It seems like business as usual, until Justine starts wondering if Ez is really responsible for the murders she was imprisoned for. Meanwhile, a new band of killers is hitting Midcity – the Dorks. These unknown people have been shooting at seemingly random Midcity dwellers, who are later identified by Packard’s men as highcaps. No one can figure out how the Dorks can tell that their victims are highcaps or how they are impervious to highcap abilities, including precognitivity. Justine fears for the safety of the highcaps in her life: her paramour Otto Sanchez, and her enigmatic leader, Packard. My Thoughts: One of the things that I love about this series is the comic-book, fight-between-good-and-evil feel. In Midcity, a sprawling metropolis with a comic book name, live highcaps, people who have superhero-like powers hidden behind ordinary facades. Among the highcaps are two powerful men: Sterling Packard and Otto Sanchez. While Otto thrives under the glowing approval of his fair city as their Golden-Boy mayor, Packard is a criminal mastermind who is content to manipulate Midcity in obscurity. Each is the other’s greatest enemy. The good guys have a little tarnish on their armor and the bad guys believe that they’re White Knights protecting the city at all costs. Sometimes it’s hard to tell who is who. Especially if you are our books narrator, Justine Jones. 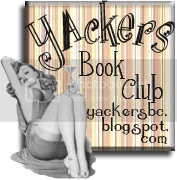 In the first book, Mind Games, she trusted Packard until she found out that disillusioning people comes with a price — total reliance on Packard or becoming a mindless vegetable. Similarly, she distrusted Otto (he was her target for disillusionment), until she discovered his past with Packard and the real reason Packard wanted him disillusioned. This reader is firmly in the Packard camp, but that doesn’t mean the way things ended in Mind Games left me despairing. The relationship between Justine and these two different men is a work in progress, and I’ve been having a great time trying to pick up on the author’s hints about what’s coming next (and nodding to myself when I realize things set up in the first book. This includes the first person present narration — ha, I see what you did there, Ms. Carolyn Crane). I said this in my review of the first book, and I’ll say it again: it’s been a treat to revel in the GREY! And while Justine doesn’t seem to be asking this question, I am: who is the real hero and the real villain? I think Double Cross steps us closer to the answer. Double Cross begins shortly after Mind Games left off. Packard works with Otto’s people in an uneasy alliance in return for his continued freedom. His group of disillusionists, which includes Justine, are still working, but now their targets are those highcaps imprisoned by Otto over the years. Justine, as is her nature, wonders if Disillusioning these people is the right thing to do: would they prefer imprisonment over being rebooted? She doesn’t feel free herself because she has to keep ‘zinging’ people with medical fears to stay alive; she doesn’t want to do something that gives herself relief at the expense of others. This leads her to be dismayed when Packard remarks that Ez, her newest target, doesn’t seem to have the right personality to have done her crimes. Unfortunately for Justine, circumstances allow Ez a way to worm into her and Packard’s dreams, which means she has to disillusion her or be a victim of Ez herself. With Justine’s involvement with both men, she’s yet another reason for them to be rivals. Justine is relieved to be back in the good graces of the charismatic Otto, whom she thinks is the perfect man, and stays wary yet drawn to Packard. Packard warns Justine about Otto’s character, but Justine sees manipulation in everything Packard says. Underneath it all, Packard and Otto’s past is simmering under the surface. I’m happy to say that Double Cross settles some questions about that past and what started their rift. It also settles which man Justine really loves, but it’s not quite time for an HEA yet. Anyway, there were hints made in Mind Games that finally make sense, and I was happy with the story I got. For extra points Packard and Otto’s past neatly dovetails into the present. Perhaps a little perfectly, but I liked the way things went, and I liked how their past informs their current journeys (one towards redemption, another towards moral ruin). 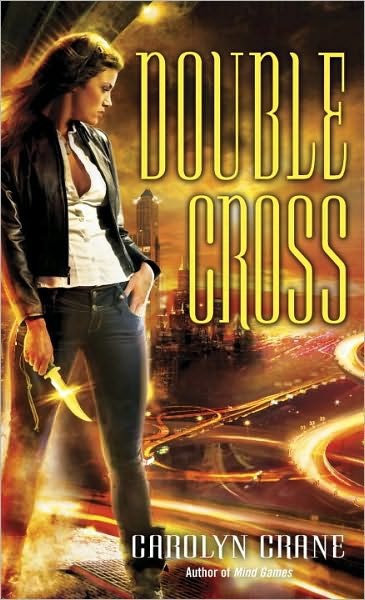 I think that Double Cross is the book that has me more obsessed about the three main characters and their relationships, but I would be remiss if I didn’t say that it furthered my understanding of a couple of favorite side characters as well. The two I felt I got to know a little better were Shelby, the eternal pessimist, and Simon, the gambler. Shelby surprises us with a little bit of optimism in this story, and it was rather delightful to see her character grow. Simon is his usual self but he and Justine have an understanding . Although Simon keeps doing risky things, and Justine sometimes has to stop him, they have a friendship of sorts. So. The ending. It was a bit of a cliffhanger and I’m not sure what to say about this. I won’t say anything about what the cliffhanger was about, just my reaction to it: I am surprisingly OK. I usually hate a cliffhanger, but you guys, this one was a little bit awesome. Although I would like to know WHY there is no information online about WHEN the next book is out EXACTLY(?!?!! Why?!?!) I’m not feeling so totally sideswiped that I will go out on a killing rampage. 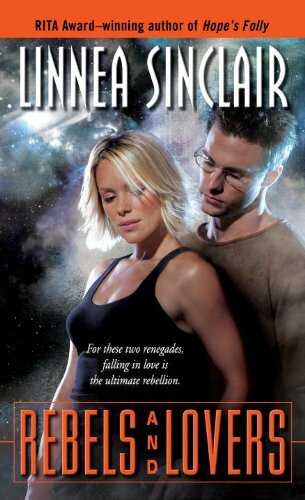 I warn you though: you will want to read book 3 really badly after reading Double Cross, so this may be something you want to take into account when deciding when to read this book. Overall: I’m loving this urban fantasy series and despite the cliffhanger ending (really, when is book 3 out? ), I think this installment is as good if not better than the last. As usual, there’s an excellent balance of imperfect characters with a well thought out plot. The three core characters (heroine, and two men whose roles haven’t been solidified yet), show us a little bit more who they really are in each book, but I still can’t predict their next move. I’m very satisfied so far with where things are going, but I’m relieved that this is a planned trilogy — the final book can’t come soon enough. 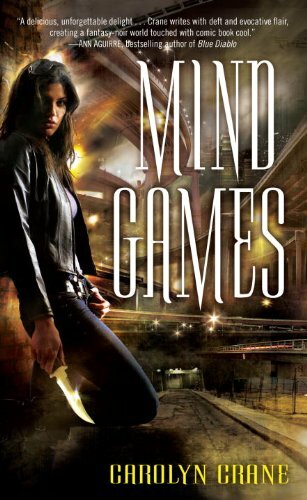 And this one has been floating about all week, but I’m still going to post it – Carolyn Crane’s Mind Games, which is coming out March 2010 as well. She has a great blog called The Thrillionth Page where she writes about some of the things she loves in books shes reading. I’m looking forward to her book just based on how much I like her blog. This is a first book of a planned trilogy, and we won’t have to wait long for the second book, which will come out in September 2010.